Agile methodology was innovated in 1970, but it still has the same impact when it comes to project management. 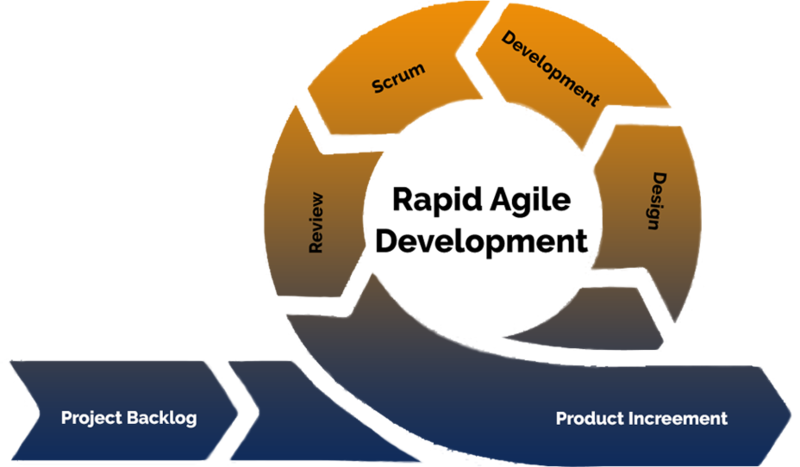 The agile method grew out of the experience with the top-notch project development in the past. Subsequently, the agile method has been accepted by the industry as a perfect solution for project management as it eradicates the challenges and limitations of traditional project management methods. Nowadays, most of the IT service providers are using the agile method in some form. We, at Biz4Group, utilize the agile method of project execution to ensure an out of the box product delivery. As it offers a light framework for assisting teams, it helps us function and maintains focus on rapid delivery. It assists us in reducing the overall risk associated with the projects. Using the principles of continuous design improvement and testing allows project teams to work on your feedback and improve the product constantly. Regular meetings, part of the agile methodology, allows project teams to share progress, discuss issues and work out solutions. The participation from both sides, You and Us, will make sure an out-of-the-box product development, according to your needs. The iterative nature of agile method means that the end product is ready for market, lets you stay ahead of your competitors and reap the benefits.